If you're in Los Angeles, come see Bullseye with Jesse Thorn LIVE on Wednesday, October 15th at the Masonic Lodge at Hollywood Forever Cemetery. Featuring conversation with Rob Corddry (Wedlock, Childrens Hospital) and Dan Harmon (Community, Harmontown), music from Sara Watkins (Nickel Creek, Watkins Family Hour), comedy from Steve Agee (New Girl, The Sarah Silverman Program) and Andy Kindler (Maron, Letterman) and more! Plus, your ticket gets you a free beer after the show at our meet-and-greet sponsored by NPR's Generation Listen. Tickets are going fast - get yours now! Merrill Garbus is the creative force behind the musical project tUnE-yArDs. The group’s first album, BiRd-BrAiNs, was released in 2009 and if it sounds lo-fi, it's because it is. Garbus recorded the album almost entirely on handheld voice-recorder. All those music loops? She created them by copying and pasting the sound files over and over on her computer. 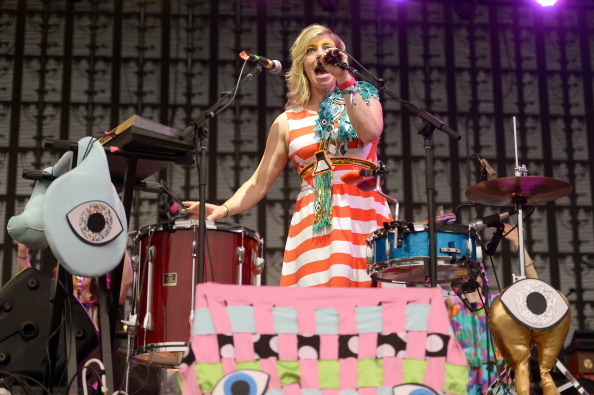 tUnE-yArDs released a new album earlier this year. It’s called Nikki Nack. It still features the band's signature mix of drum loops, samples and ukulele, but it’s a much smoother-sounding production than their debut. Garbus talks to us about why she was drawn to the ukulele as a hormonal teenager, how she fell into producing Bay area hip hop, and how to weave political and social issues into music without getting preachy. Artists are always influenced by the work of others. And sometimes, something that an artist sees is so good, so perfect that they wish they had made it themselves. This happens so often to the people we talk to, that we made a segment about it. It’s called I Wish I’d Made That. Josh Dorman is a fine artist from New York. He specializes in invented landscapes, created in a mixture of collage, drawing and painting. His images play around with the ideas of time and space to create an unusual reality. 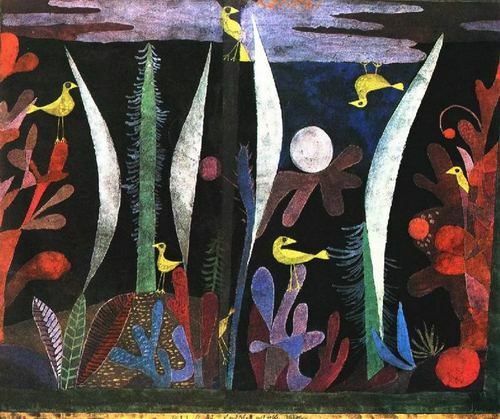 Dorman was a sophomore in college when he discovered Paul Klee and his painting Landscape With Yellow Birds. And it really affected him -- maybe too much? He'll explain. If you’re in New York, you can see Josh Dorman’s solo exhibition, Whorled, at the Ryan Lee Gallery, through October 11. 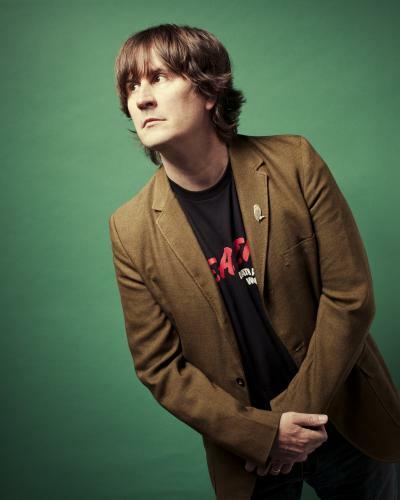 You probably know John Darnielle as lead member (and sometimes only member) of the band The Mountain Goats. His music is known for its poignant lyrics and simple instrumentation. Darnielle started the band in 1991 and has since released 14 albums. Now, he’s written his first novel, which is long-listed for the National Book Award for Fiction. Wolf In White Van is the story of Sean, a young man who has survived a suicide attempt, but is horribly disfigured in the process. Sean goes on to create a mail-order role-playing game, only to find out how his imagination can have real-world consequences. Darnielle talks to Jesse about why lyrics are so important to him, subliminal messaging, and how much artistic responsibility we should assign to writers, musicians, and other creative people. Jesse praises the true hero of The Onion: The Area Man. You can subscribe to our podcast in iTunes or with your favorite podcatcher to make sure you automatically get the newest episode every week.